Tesla of Palm Desert had a Model X on display and gave test drives in the Model 3. The Tesla Club of the Inland Empire had an official Meetup at the event. It was the most popular EV brand at the event. Picture looking towards the front of the event. 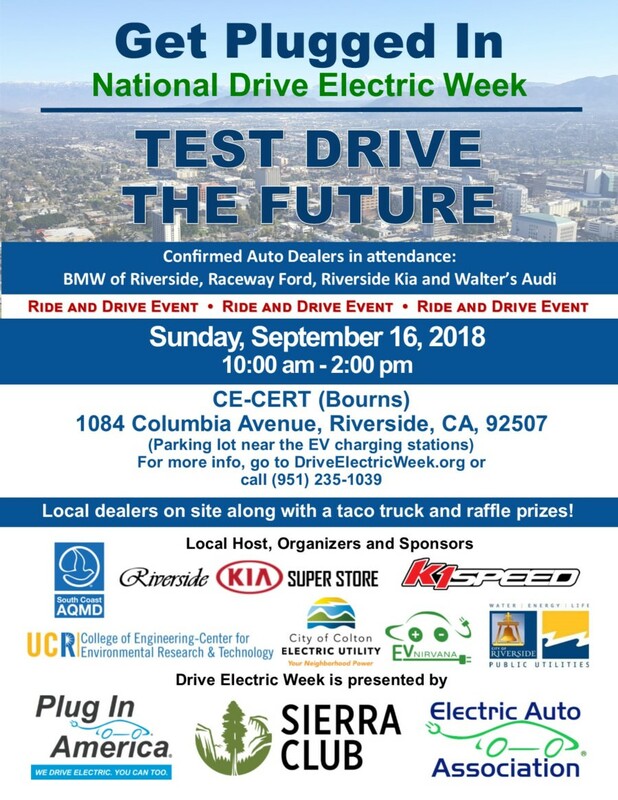 Join us for the Inland Empire - National Drive Electric Week event in Riverside for family fun on September 16, 2018 from 10am to 2pm. Electric vehicles (EVs) are fun to drive, are less expensive to operate, more convenient to fuel than gasoline vehicles, and are better for the environment. 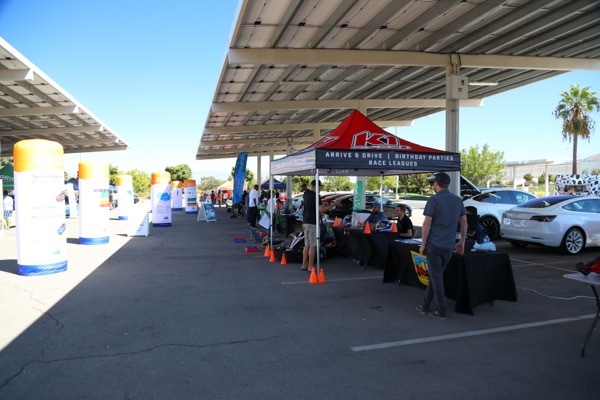 • Bring the family to enjoy food trucks, vendors, EV displays, games, prizes and lots of fun! The first 150 test drivers get coupons for FREE tacos from the “Culinary Chameleon” UCR food truck. A valid driver’s license is required to test drive vehicles. The first 125 attendees to sign in, get a coupon for a free ice cream cone from the “Moo Moo” UCR food truck. There are currently 145 attendees registered. Registered attendees report 1,122,165 electric miles driven.